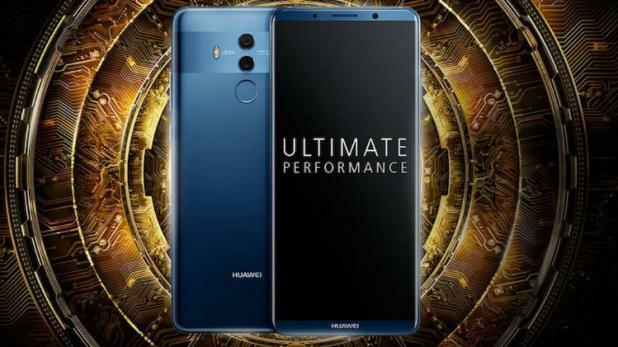 Huawei has launched its new flagship smartphone Huawei Mate 10 and Huawei Mate 10 Pro. The company has compared them to the iPhone X and iPhone 8 Plus. Apart from this, Porsche Design Huawei Mate 10 has also been launched. The cost of “Huawei Mate 10 Pro” is EUR 699 (about Rs. 53,400). Huawei Mate 10 Pro is priced EUR 799 (about Rs 61,000). Apart from this, Porsche Design Huawei Mate 10 has been priced EUR 1,395 (approx. 1,06,600). ‘Huawei Mate 10’ has a 5.9-inch QHD (1440×2560 pixels) LCD display, on the other hand Huawei Mate 10 Pro features a 6-inch full-HD + (1080×2160 pixels) OLED display. Both are being called full view displays. Huawei’s HiSilicon Kirin 970 processor has been given both smartphones. The battery of Huawei Mate 10 and Huawei Mate 10 Pro is 4000mAh. Huawei Mate 10 comes in 4GB RAM and 64GB of storage. Huawei Mate 10 Pro has been introduced in two variants of 4GB RAM and 64GB storage and 6GB RAM and 128GB storage. Mate 10’s internal storage can be increased to 256GB with the help of cards, while the Mate 10 Pro storage can not be increased. For the photography of the rear of Mate 10 Pro, two cameras of 20 megapixels and 12 megapixels have been provided with dual-LED flash. On the front there is an 8 megapixel camera for selfies. Similar camera is also given in Huawei Mate 10. Fingerprint scanner is given in the back of the Mate 10 Pro, while the fingerprint scanner in Mate 10 is given at the bottom of the screen. Huawei Mate 10 and Huawei Mate 10 Pro both run on Android 8.0 based EMUI 8.0. These smartphones with Dual SIM support also support NFC. Huawei Mate 10 has a 3.5mm audio jack, but the headphone jack is not present in Mate 10 Pro.